"By receiving thorough initial training and education from Nutrition Zone in the benefits, ingredients and features of each of our products, I am able to meet my customers' health needs and that makes me feel really good about being in this business." A Retail Franchise Opportunity That Helps Your Customers Stay Healthy And Fit! If you are searching for a franchise opportunity that combines your excitement for healthy living with the chance to help people attain their health and fitness goals, you should consider the Nutrition Zone franchise. Nutrition Zone's exclusive product supply arrangement allows us to charge low prices and pass the savings on to our loyal customers. We deliver a comprehensive nutritional plan for our customers covering their specific nutritional needs. We educate our customers about their nutritional needs based on their desired health and fitness goals. All our franchisees receive training to become Certified Fitness Nutrition Coaches, enabling them to help their customers choose the products that will benefit them most instead of just providing those that they request. Our stores advocate education first and sales second to ensure maximum customer satisfaction and results. Our exclusive brands are the highest quality formulas and among the most successful nutritional products. "I knew that with the Nutrition Zone name and support there was very little risk in buying my store. I also felt that I would make money if I worked hard and followed the system. 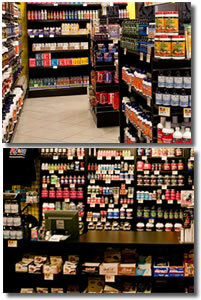 By the end of my second year in business my Nutrition Zone store sales exceeded my expectation." The Nutrition Zone franchised business system is "the right company at the right time," well positioned to become the dominant retail force in sports nutrition, weight loss and all-around general fitness. Nutrition Zone offers three different levels of entry into its growing franchise chain, all of them rewarding and tailored to an individual's goals or a corporate expansion plan for companies seeking to diversify. Multiple product lines to generate substantial store revenues. 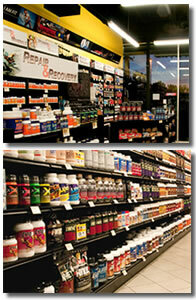 An initial training program that covers every aspect of running your own Nutrition Zone store. Assistance with territory and site selection, and lease negotiation. Proven marketing programs and strategies to help you build and retain your customer base. A strong brand in an industry that is gaining strength every year. Financing options through third party sources. Store design and sourcing of high quality, low cost fixtures. Point-of-sale cash register system. Inventory tracking, sales records, reordering and day-to-day accounting assistance. Grand Opening. A field representative works with you in your store throughout your opening weekend. After your Nutrition Zone store becomes established you will enjoy the benefits of being an entrepreneur while receiving consummate, expert guidance in developing your retail store operation. We are dedicated to helping you make money because the success of our company is based on the individual success of our franchisees. We specialize in creating the hottest selling and most desired products on the health and fitness market. Our corporate objective is to provide our franchisees with the finest quality nutritional supplements at real wholesale prices. Click on Request Information for FREE info on how to open a Nutrition Zone franchise today! Please Note: This Nutrition Zone franchise opportunity and other franchise business opportunities, businesses and franchises for sale on this web site are not to be considered as an "offering", "franchise offering", suggestion or recommendation by Franchise Leader™. This advertisement depends entirely on the truthfulness of the information provided by our advertisers which includes, but is not limited to, franchisers, franchise brokers, franchise consultants and business brokers. Franchise Leader™ recommends that you consult a lawyer, financial consultant, accountant or professional advisor before buying a franchise or business opportunity or any type of business. By using this form or any part of our website, you have agreed to all terms and conditions of Franchise Leader™. Please review our Terms & Conditions for more information.